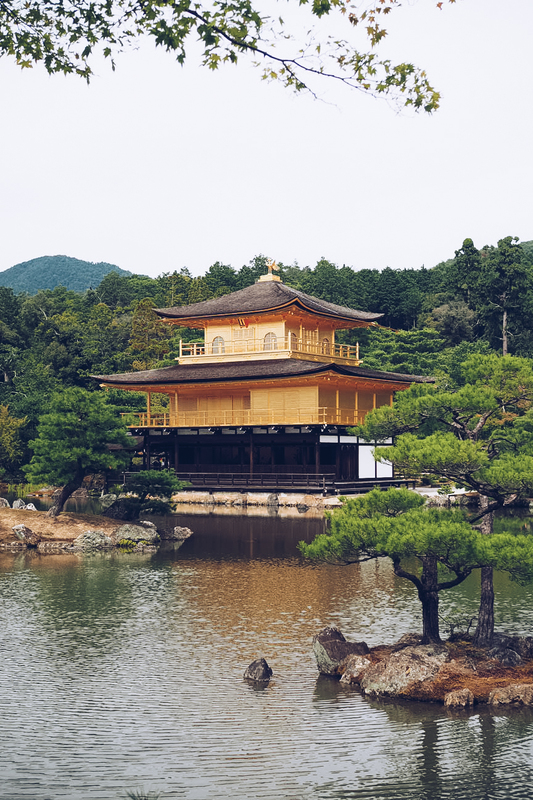 Originally, this ultimate bling palace was built as a shogun’s retirement villa, which really makes me re-think my current pension plan. This place is snazzy. It’s so snazzy in fact, that you can’t get anywhere near it; it is sat afloat a private island, with the two levels of gold leaf covering it reflecting perfectly in the still water surrounding it. It is stupidly extravagant and as a result, draws in a big crowd looking to thrust their selfie sticks out six foot in front them and into the back of my head, but look at how stunning it is. 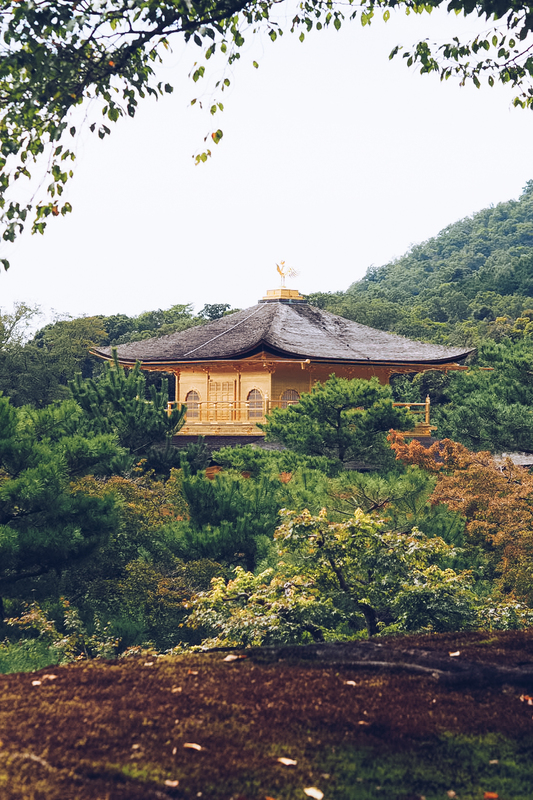 Beyond the Golden Pavillion itself, you can walk through pristine, manicured gardens and right before the exit is the gorgeous little Fudo Hall, a tiny temple hall. 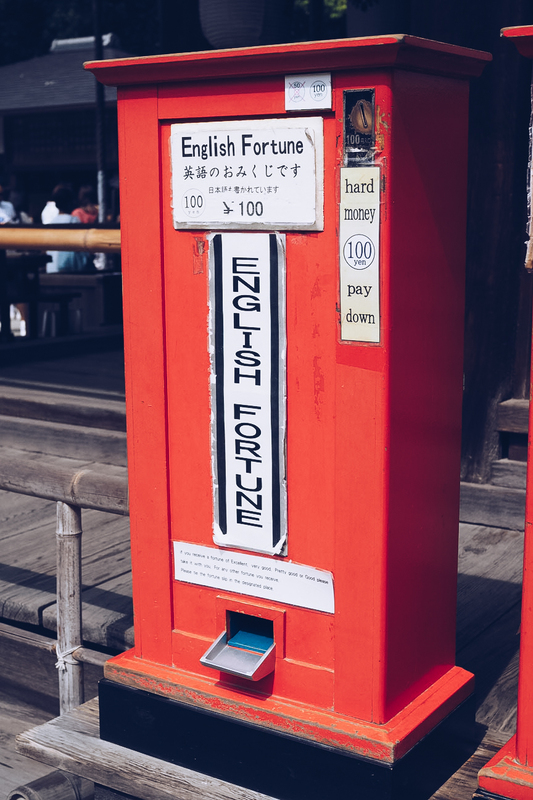 It’s easy to forget that these destinations on our holiday hit list are often still places of worship, and here you can see Buddhists making small offerings, and for the not-so-religious, you can buy a fortune from a machine which is super fun if you are as obsessed with horoscopes as I am. 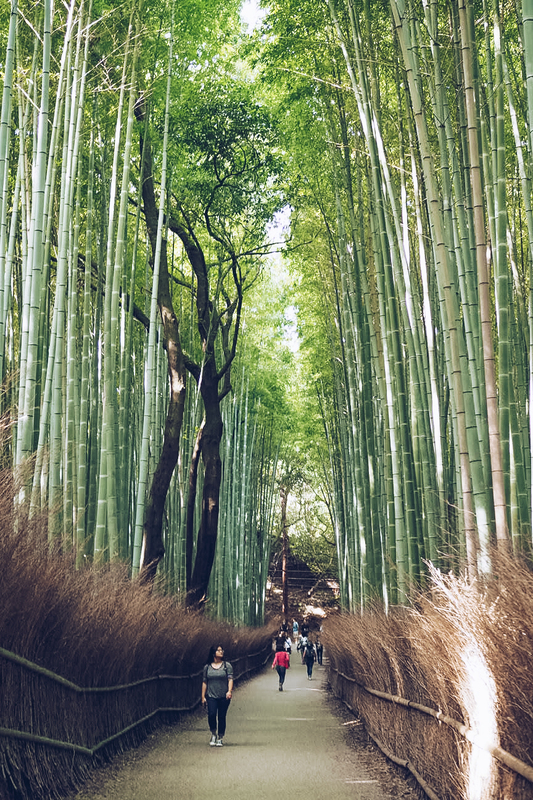 We got up at 6am to make the 40-ish minute train journey out of Kyoto to make it to Arashiyama Bamboo Grove before the crowds hit. 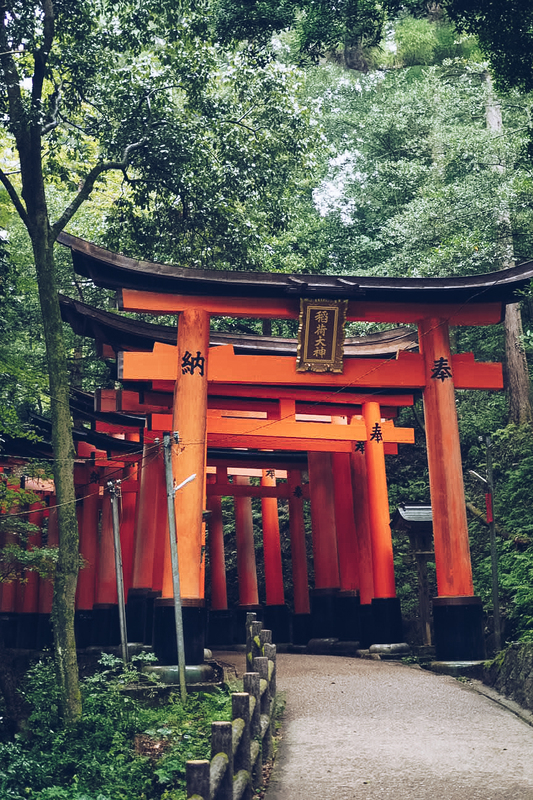 A short walk from the train station, it doesn’t matter what time of the day you arrive, just follow the steady flow of people through the small town selling tourist trinkets and street food and you’ll make it to the entrance. 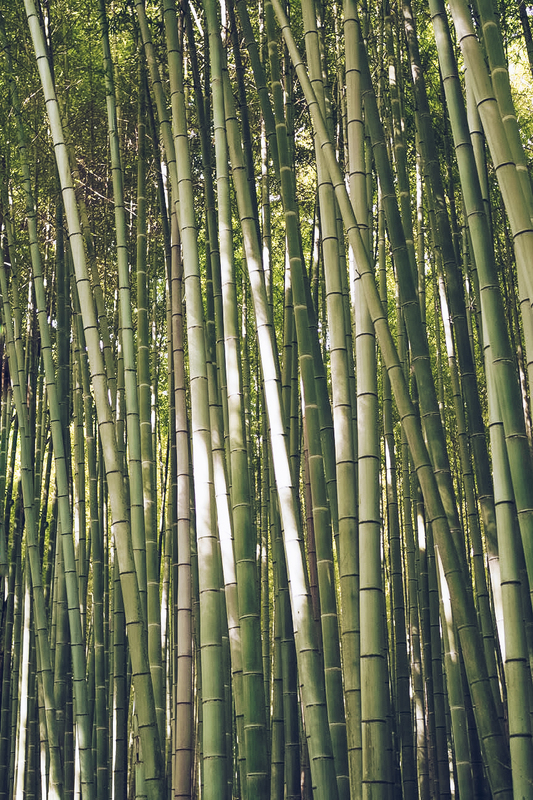 At first, the walkway is wide and the bamboo isn’t particularly dense, but as you move further in, outside noise starts to dissipate and the stalks start to tower way, way above you. 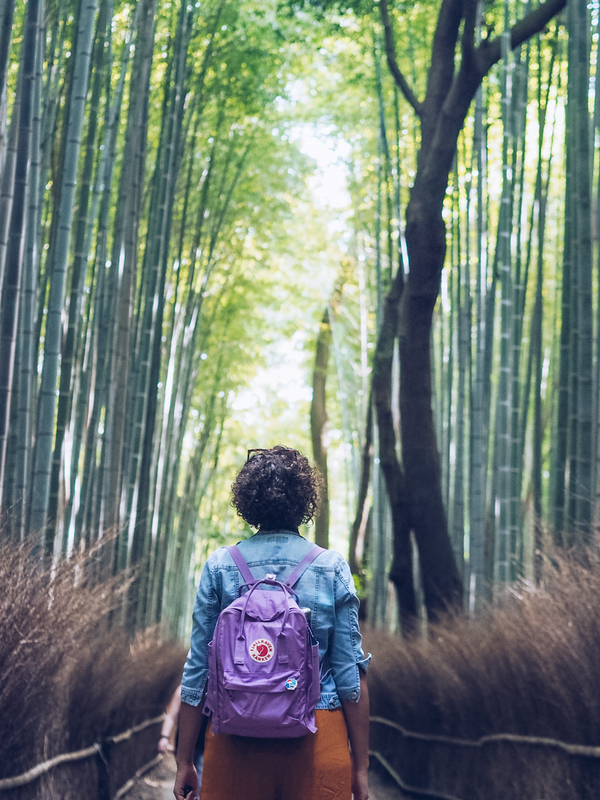 It’s absolutely not the perfectly serene sight that the internet depicts it as, and it certainly doesn’t snake on for miles as you might imagine, but a 30 minute stroll from beginning to end is undeniably beautiful and certainly a tranquil way to spend a morning. 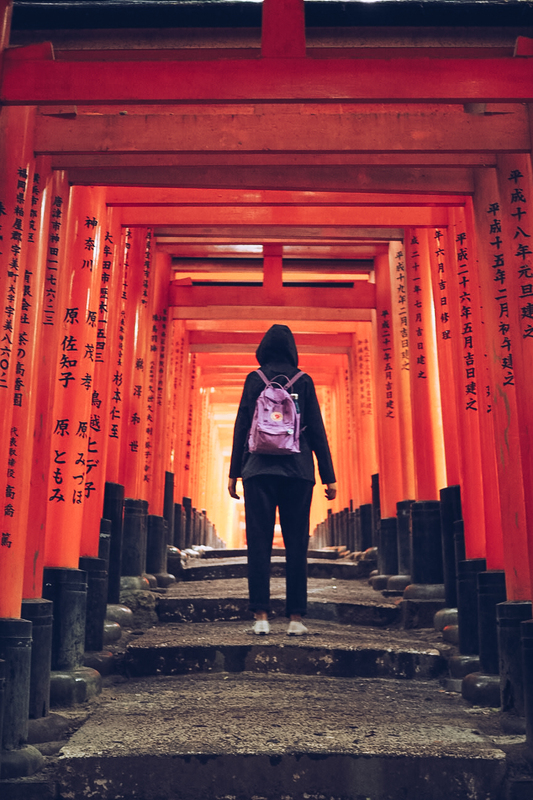 Ever seen the movie adaptation of Memoirs of a Geisha? 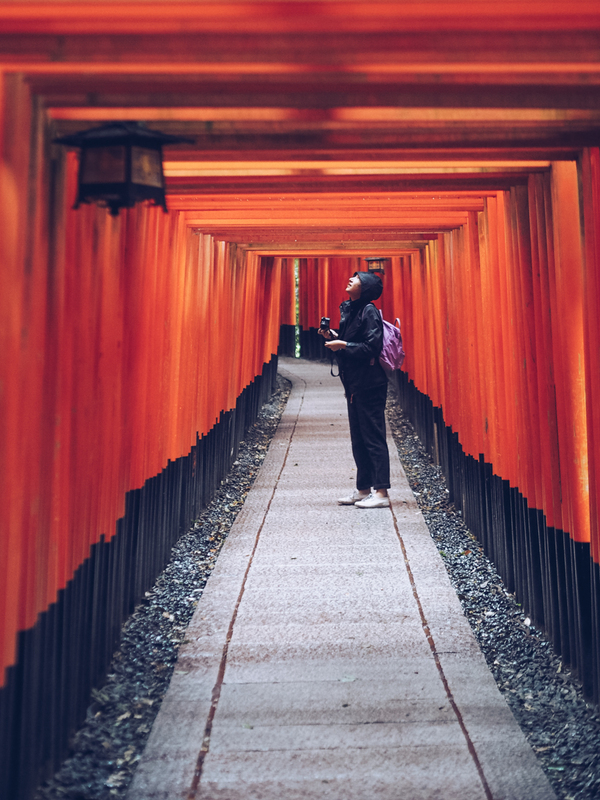 If you have, you’ll absolutely recognise Fushimi Inari Shrine and its thousands of torii gates. 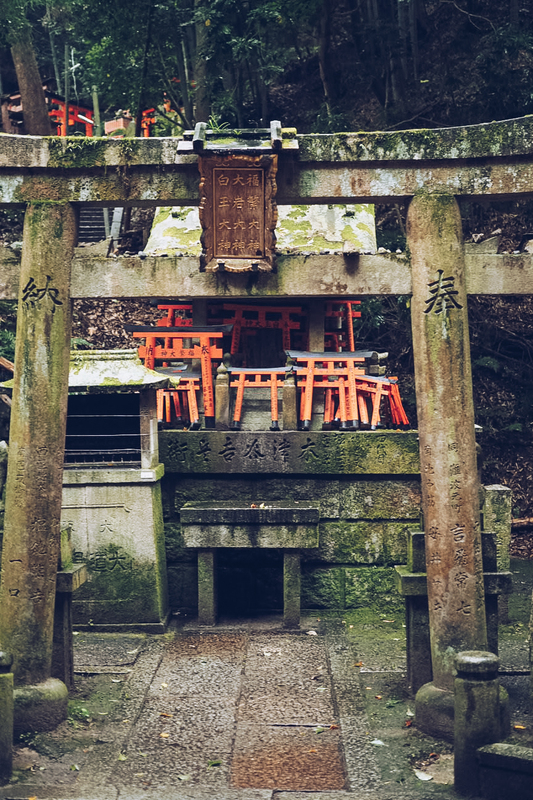 The row-upon-row of vermillion structures range in size and lead up a hiking path up Mount Inari as a shrine to the Shinto god of the same name. Katy and I left the rest of our crew behind as we got up at 6am (again) and left our hostel to take the subway 20 minutes in the pouring rain to see the gates without tourists (again…again). This time, thanks to the weather and the early start, we were practically alone, and honestly, it was magical. A literal sea of orange ahead of us, the opportunity to get up close to the gates shows them in much more detail. 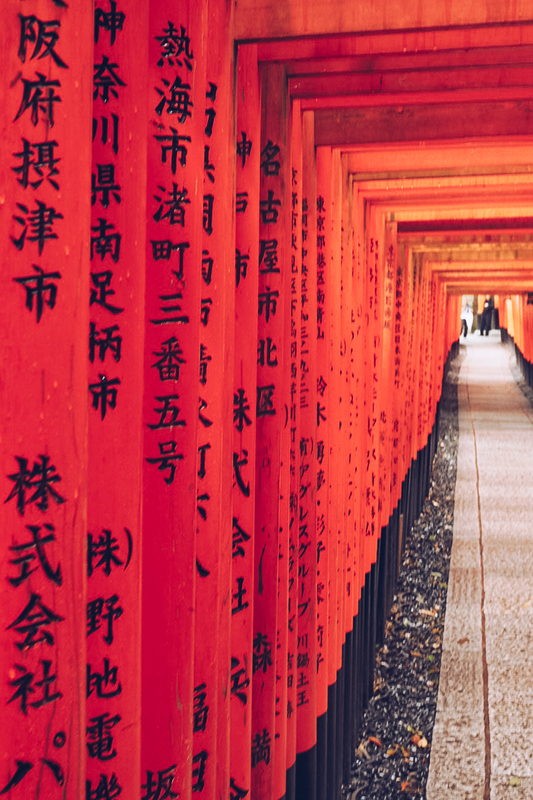 Each one is sponsored by an investor, and that person or business’s name is inscribed on the gate; the bigger the gate, the bigger the donation – so that’s a way to show off to your Shinto temple mates. 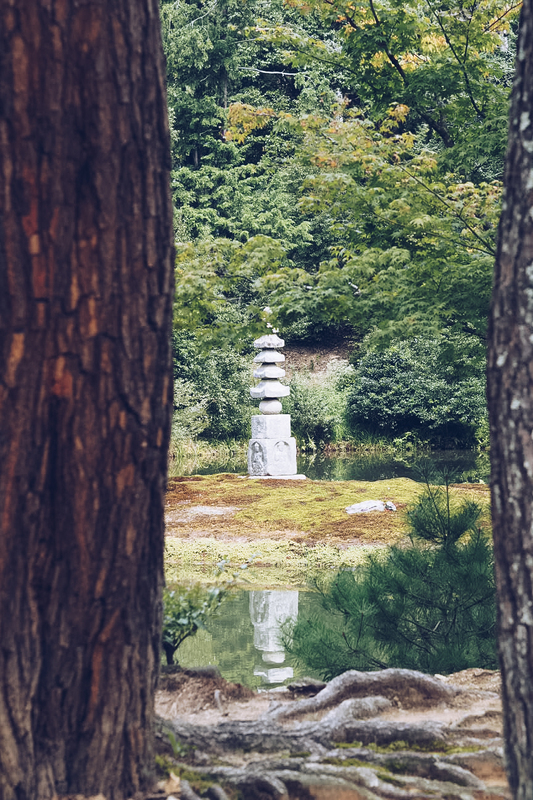 This was absolutely the calmest place I visited from Kyoto, and you really could get lost in there for hours. 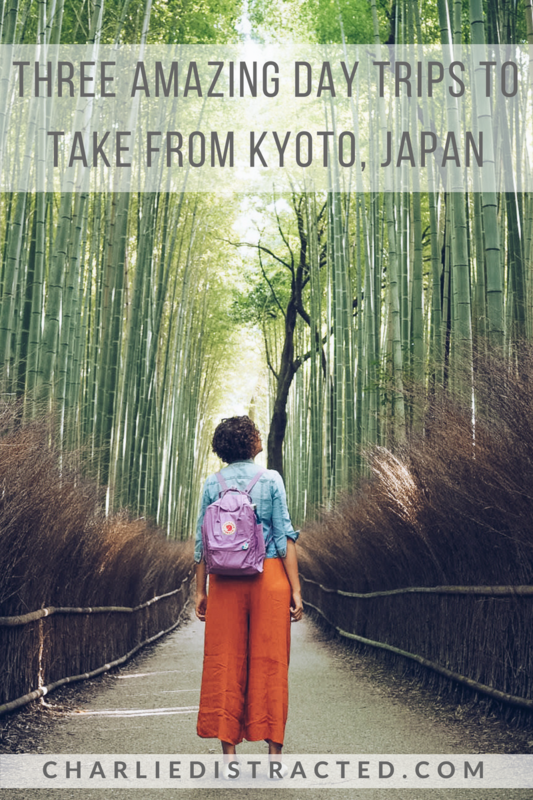 Kyoto is known as the cultural epicentre of Japan, but it’s not just focused on the city itself. 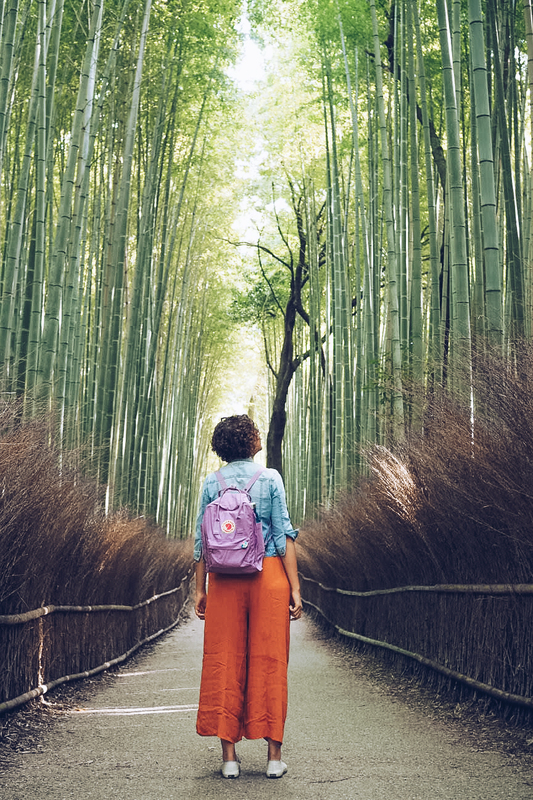 Get a little further out to really experience the side of country that you’ll have come to expect from all your guide books and Pinterest boards.